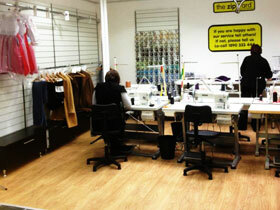 Large selection of merchandise to ensure every garment fits perfectly, whatever the occasion! After only 8 months of being open, we were nominated for “Best New Business” in the prestigious Sligo Champion’s Business Awards 2013 AND we were runners up! A great achievement. Propietor Des Foley, was personally asked, along with The Zip Yard Limerick proprietor Caroline Wallace, to appear on an Ocean FM consumer radio show and talk about the many benefits of using The Zip Yard Sligo, especially in a money-saving context, while Caroline shared her many fashion tips and tricks made possible with The Zip Yard. 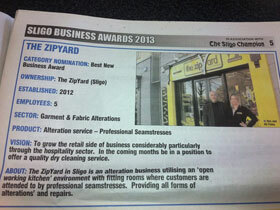 The Zip Yard offers the best clothes and garment alterations service in the Sligo region. After just celebrating its 1st birthday in October 2013, the business is quickly becoming a popular and quality choice for everyone in the Sligo region. In a time when people are spending less money, The Zip Yard offers a perfect solution – Mend, remodel or adjust your existing wardrobe! Whilst offering a fresh, modern approach to a very traditional trade, The Zip Yard guarantees the highest quality and standards of workmanship by employing highly experienced and talented seamstresses and tailors. We offer a host of specialised services such as; curtain and blind making, suit tailoring, leather and fur repairs and manufacturing from design patterns. 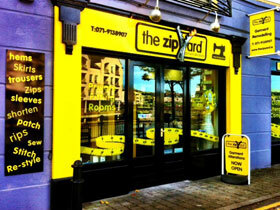 The Zip Yard Sligo Team pride themselves on their eagerness to take on any job possible! We have seen everything from torn boat sails to a men’s waterproof jacket being converted to a cosy number for his pet Rottweiler! 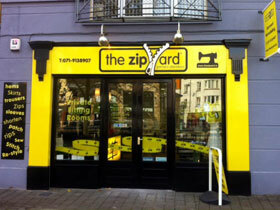 With The Zip Yard Sligo, nothing is impossible! 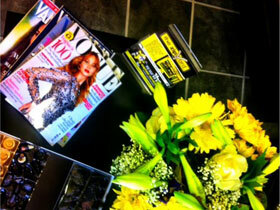 The Zip Yard Sligo also offers a state of the art and private bridal suite, along with a specialist wedding service. No appointment necessary. 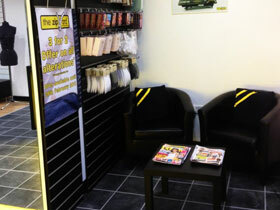 The shop is fresh and welcoming; with a modern seating area where customers can watch television and relax while we cater for their needs. There are also two private fitting rooms which are extensive in size and are fitted with full‐length mirrors where the seamstresses can fit you in complete privacy. 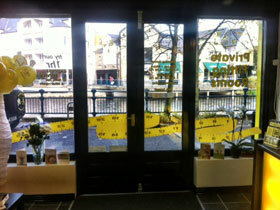 So why not pop in today for a free consultation and quote with our professional team!